Preeclampsia is a condition that affects five to eight percent of all pregnancies, which is characterized by high blood pressure and protein in the urine and also causes slower blood flow to the placenta. Symptoms of preeclampsia can be easy to miss, as they overlap with other pregnancy traits like swelling, weight gain, and headaches. In severe cases, preeclampsia can lead to maternal complications such as kidney and liver malfunction, stroke, pulmonary edema, and eclampsia (seizures) or other complications that severely affect the baby such as restricted growth, placental abruption, and premature birth. Moms-to-be who already have problems with high blood pressure are considered to be at risk for preeclampsia and should be very cautious from the beginning of their pregnancy. Mara Rosner, MD, assistant professor in the Department of Obstetrics and Gynecology at NYU Langone Medical Center, suggests her patients at risk for preeclampsia take a baby aspirin nightly starting from the first trimester. "The exact mechanism for how baby aspirin staves off preeclampsia is not known, however it is speculated that aspirin helps at-risk patients to have more normal placental development," she said. Although preeclampsia can occur at any time during a pregnancy, it is most common during the final trimester. Unfortunately, the only real treatment once you've been diagnosed with preeclampsia is delivering the baby. "At early gestational ages, if it is safe for the mom, we try to stave off delivery in order to allow the fetus more time to grow," Dr. Rosner said. "In some cases, for the safety of the mother, delivery cannot wait." 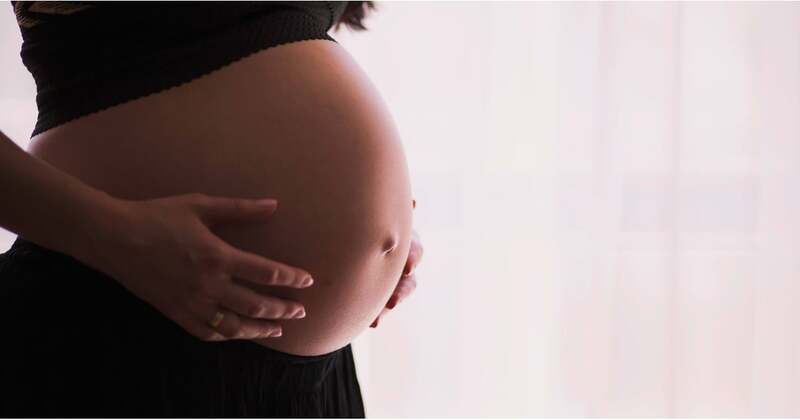 Heather Rupe, MD, DO, OB/GYN , at the Womens Group of Franklin and WebMD contributor, also noted that if the preeclampsia is very severe, the mom may need further medication, such as a magnesium drip, to treat it. Moms with the condition should be monitored very, very closely by a doctor to ensure their safety, as well as the babies'. And though delivering a baby prematurely to fight preeclampsia can cause her to have common complications related to early birth, leaving it untreated could result in death. According to the Preeclampsia Foundation, preeclampsia and other hypertensive disorders of pregnancy are responsible for 76,000 maternal and 500,000 infant deaths each year. As with anything else during pregnancy, if you are experiencing any unexpected symptoms, seek medical attention.